The National Association of Goldsmiths (N.A.G) was established in 1894 as a membership organisation, designed to serve and support the Jewellery Industry of Great Britain and Ireland. 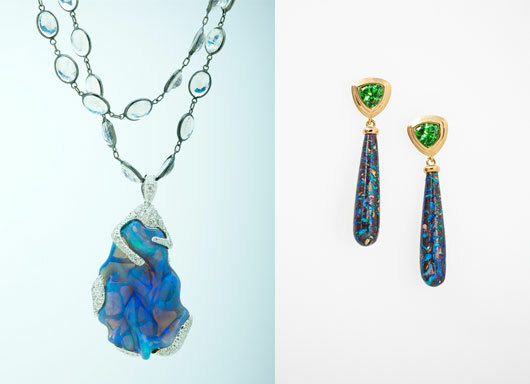 I am organising an Exhibition of Rare Australian Black Opals to be held at Payne and Son Jewellers of Tunbridge Wells from Tuesday 25th to Saturday 29th September 2012. This stunning gem is sorely misunderstood – come along and meet John & Leisher Wheeler from Lightning Ridge who will be with us during the course of the exhibition and will happily relay stories from their mining days, and dispel all the bad myths and bad press these stones have received over the years. 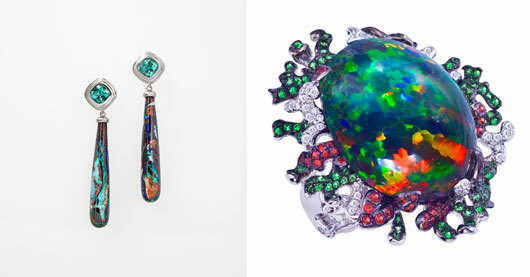 Black, White and Boulder Opals are things of beauty. There will be over 400 loose stones and gen set jewellery on display and available for your to purchase if you so wish, so pleease come along and see these amazing stones in the flesh – join us for a cup of coffee and marvel at these fabulous gems. Sounds excellent. We’ll have to come along! If you have any more information, send it over to miles@jewellers-online.org and we’ll promote it to our members.